Home » Advocacy & Action » Your Action Needed Now! House Ed Committee to debate changes to PNA! On Tuesday of next week, the House Education Committee is set to debate and possibly vote on HB 2034, the “minority report” bill changing collective bargaining for teachers. This bill is opposed by KNEA, the Kansas Association of School Boards, United School Administrators/KS, and the Kansas School Superintendents Association. The four educational organizations have offered a separate bill with suggested improvements to the Professional Negotiations Act that would make bargaining more efficient, more effective, and more focused. 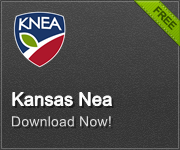 Contact the members of the House Education Committee and urge them to reject HB 2034 and instead adopt the agreement offered by KNEA, KASB, USA/KS, and KSSA. The members of the committee are listed below. Their names are linked to their email addresses. The legislature is also considering changes to LOB state aid calculations that would reduce school funding by $39 million and they will be delaying capital outlay payments to schools to address a “cash flow” problem. The cuts announced yesterday include a 1.5% across the board cut to K-12 schools (about $42 off of Base State Aid Per Pupil this year) and a 2% cut to higher education. Specified were cuts to each of the Regents 4-year institutions and an additional $4.5 million to be cut from community colleges and tech colleges. We suppose Holmes wants you to believe that teachers unions control the school boards and that’s why school spending goes up – you know, to cover the enormous salary increases being granted by the union-controlled school boards. In reality, moving school board elections to November and making them partisan will simply result in turning local elections into the kind of election circus one sees with state and federal elections. Imagine the kind of mail you’ll be getting for school board candidates! Another big part of the problem in Kansas today is apparently being caused by liberal elite college professors writing in our newspapers. Sen. Forrest Knox has introduced a bill to require that the Regents universities adopt policies prohibiting professors from identifying themselves as professors when writing editorials or op-eds. We wouldn’t want readers to know that the writer might be educated or knowledgeable on the topic of the editorial especially if that editorial might be critical of Governor Brownback or the Kansas Legislature. And now we need to stop that piano! It seems that the Kansas City, Kansas School District purchased a grand piano for $48,000. The Governor cited this purchase in his press release announcing his education cuts. Brownback said the district should have hired a teacher instead. The piano replaces one that is at least 40 years old. The piano was for Sumner Academy, a nationally recognized high school that has an arts focus. The piano is used to help students prepare for concerts and auditions when applying for prestigious post-secondary music programs. Sumner Academy and the KCK Schools serve predominantly low-income students who would otherwise not have access to such an instrument. But we should not be surprised. This is the Governor that made a name for himself early in his first term by ending the Kansas Arts Commission. So, pay no attention to the “men” behind the curtain. The first string they pulled dismantled the state’s revenue stream. Now they’re dismantling state services, silencing dissent, and hiding behind straw pianos.